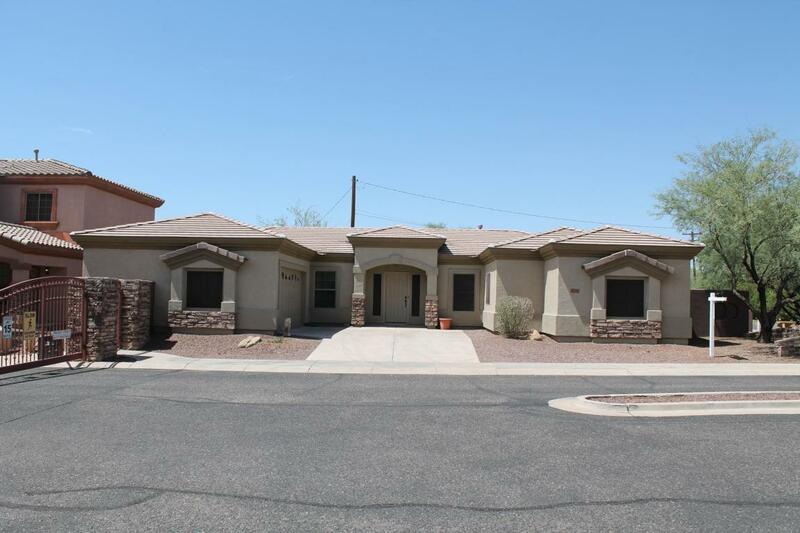 Awesome 5Bedroom 3Bath Home in Desert Winds Estates. Gated community has heated Pool & Spa, Greenbelts & park. All new interior & exterior paint. Wonderful Open Floor plan has soaring vaulted ceilings. Gas Fireplace in living. Family has stereo surround wiring. Bright kitchen has cherry cabinets with corian countertops, walk-in pantry & large island. Large laundry room has Extra beer fridge + washer and dryer. Newer carpeting. Plank engineered wood floors. Premium corner lot has large covered patio with extended brick pavers. Big side yard has room for grassy yard. No rear neighbors. ceiling fans in all five bedrooms. Great Northeast Phx location near 101/51 Freeway, Dining & Shopping.